The aim of the research is to reveal priorities, problems and trends of development of contemporary organizations in the context of globalization and digitalization. Success in contemporary organization management depends on the ability to rationally use resources and, first of all, knowledge of future technologies and changes in consumer needs, nature, environment, and, finally, human thinking and cultural processes. Management structures and activity organization measures are increasingly determined by the configuration of information flows, the content of knowledge and the ability of individuals to absorb and innovate. Therefore, the efficiency and effectiveness of contemporary organizations are directly related to the new opportunities and challenges that are brought by global digitalization. These changes are vital and dynamic environments, economic changes and the behaviour of society should be investigated constantly in order to present the latest knowledge of the phenomenon for decision making. Business environment and sustainable business development. Knowledge potential development and innovations. Strategic management and organizational resources. Effectiveness of public management and research on public and private sector partnership. Various research methods and techniques are used: analysis, synthesis, logical abstraction, survey, experiment, modelling, expert evaluation, as well as multi-criteria evaluation methods such as SAW, AHP, TOPSIS and others. Theoretical and practical results could lead to theoretical generalization and comprehensive description of development trends in contemporary organizations activity, as well as identification of new opportunities for the creation and development of knowledge based organizations in the context of globalization. Contemporary organizations; sustainable business development; innovations; strategic management; knowledge potential development; public and private sector partnership; business environment. Drejeris Rolandas. Naujų paslaugų kūrimo ir diegimo kiekybiniai sprendimai: nuo idėjų generavimo iki sėkmės vertinimo : monografija. Akademija, Kauno r: Aleksandro Stulginskio universiteto Leidybos centras, 2015. Diskienė Danuta; Korsakienė Renata; Česynienė Rima; Drūteikienė Greta; Smaliukienė Rasa; Stankevičienė Asta. Verslininkų vadybinis potencialas ir smulkaus ir vidutinio verslo įmonių internacionalizacija : kolektyvinė monografija. Vilnius: Vilniaus universiteto leidykla, 2015. 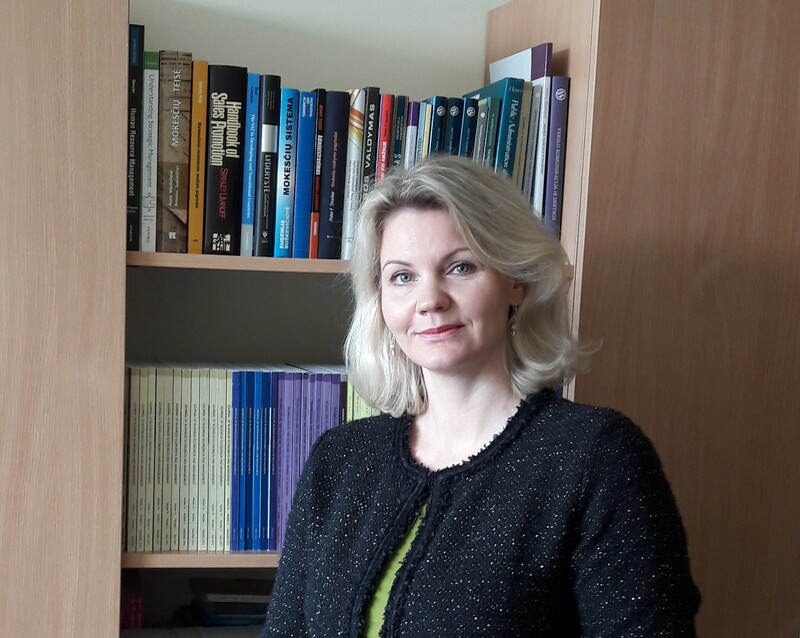 Skačkauskienė Ilona; Okunevičiūtė Neverauskienė Laima; Zabarauskaitė Rasa; Andriušaitienė Daiva; Tunčikienė Živilė. Lietuvos socialinės ekonominės problemos ir jų sprendimo prielaidos : monografija. Vilnius: Technika, 2013. Bivainis Juozas; Tunčikienė Živilė. Viešojo sektoriaus institucijų strateginis planavimas : monografija. Vilnius: Technika, 2009. Ginevičius Romualdas; Bivainis Juozas; Melnikas Borisas; Paliulis Narimantas-Kazimieras; Rutkauskas Aleksandras-Vytautas; Staškevičius Juozapas Audvydas; Pabedinskaitė Arnoldina Ona; Šečkutė Laima; Tamošiūnas Andrius. Šiuolaikinis verslas: tobulinimo prioritetai : kolektyvinė monografija. Vilnius: Technika, 2005. Narayanan Vijay; Peronja Ivan; Plazibat Ivana; Majewska Justyna; Truskolaski Szymon; Walaszczyk Ludmiła; Belina Beata; Ferraz Diogo E.; Pereira Elisabeth T.; Aksentijević Nada Karaman; Ježić Zoran; Bejaković Predrag; Mrnjavac Željko; Šimurina Nika; Barbić. Challenges for International Business in Central and Eastern Europe : scientific monograph. Kraków: Cracow University of Economics, 2017. 2017 - Jesevičiūtė-Ufartienė Laima. Consumer social responsibility: example of cycling service. Organizacijų vadyba: sisteminiai tyrimai = Management of organizations: systematic research. Kaunas; Warsaw: Vytauto Didžiojo universitetas; De Gruyter Open. ISSN 1392-1142. Nr. 78 (2017), p. 7-18. 2013 - Skačkauskienė, Ilona. Research on the dynamics of Lithuanian state revenue and preferences for expenditure allocation // Journal of business economics and management. Vilnius: Technika. ISSN 1611-1699. Vol. 14, no. 4 (2013), p. 806-817.